Comments: It produces a stiff, upright form with many stems. 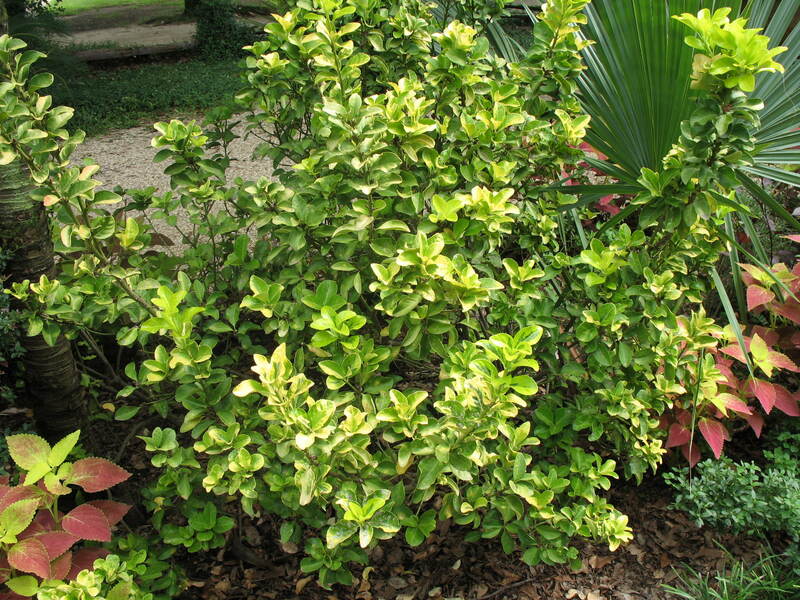 It is highly prized for the golden variegation in the leaves. Attacked by scale, whitefly and aphids.